This past Labor Day weekend, the small ski town of Telluride, Colo., drew big stars such as Meryl Streep, Michael Keaton and Idris Elba. They showed up for screenings of their latest work at the Telluride Film Festival — an event to which snowy Vermont has no direct equivalent. But locals do have the chance to see six movies from the Telluride lineup before they reach theaters. Thanks to a 30-year relationship between the festival and Dartmouth College, the Hopkins Center for the Arts hosts an annual series called Telluride at Dartmouth, which runs this Friday, September 18, through Thursday, September 24. Last year, attendees got an early look at films such as The Imitation Game, Wild and Mr. Turner. All would feature prominently in the frenzied "awards conversation" that dominates entertainment journalism from November through February. Some of this year's selections are likely to have equally high profiles. He Named Me Malala, a new documentary from Davis Guggenheim (Waiting for Superman) profiles Malala Yousafzai, the Pakistani teenager who defied the Taliban and won a Nobel Prize for her activism on behalf of girls' education. (The "he" in the title is her dad, also an activist-educator and a strong presence in the film.) In Spotlight, set in 2001, Liev Schreiber and Michael Keaton play Boston Globe reporters investigating sexual misconduct within the Catholic Diocese. Tom McCarthy (The Station Agent) directed — making, one hopes, a triumphant return after directing last year's widely panned Adam Sandler film The Cobbler. 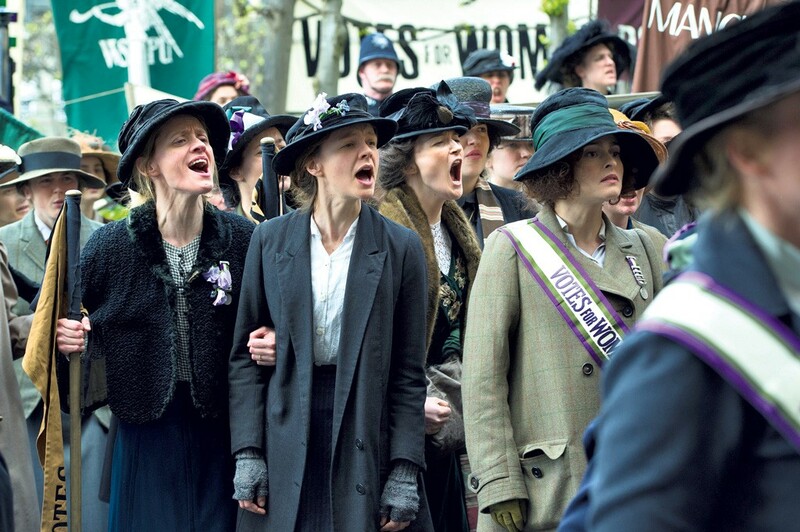 Also in a historical vein is Suffragette, the tale of a London factory worker (Carey Mulligan) who's drawn into women's fight for the vote in the early 1900s. Streep and Helena Bonham Carter join her on the barricades; Sarah Gavron directed. Early word is that the film is more ferocious and less genteel than one might expect from a period piece. Violence of a different kind looms over Ixcanul Volcano, a girl's coming-of-age tale set and shot in rural Guatemala. Critics say director Jayro Bustamante gives us an intimate view of a culture usually hidden from Westerners. When a car eventually shows up in the film, writes Scott Foundas in Variety, "the image seems so alien that it takes a moment to process it." The Icelandic drama Rams, too, takes viewers to a striking setting, though rural Vermonters will find this one more familiar. In the countryside, two elderly, laconic brothers nurse a lifelong feud. A threat to their precious flock of sheep could bring them back together in this film from Grímur Hákonarson. Missing the HBO series "Looking"? Andrew Haigh, a frequent writer-director on that show, also made the acclaimed gay romance Weekend. Now he's back in the film world with 45 Years, in which veteran actors Charlotte Rampling and Tom Courtenay play a happy couple about to celebrate the titular anniversary when an unsettling piece of the past resurfaces. Mark Kermode of the UK Observer describes it as a tender relationship drama that is also a "richly disorienting glance into the abyss." Locals will still have to wait to see some of the most buzzed-about films screened at Telluride, including Carol, Room and Beasts of No Nation. For now, though, the Hop's showcase offers exciting alternatives to a slow early fall at the multiplex. The original print version of this article was headlined "Dartmouth Showcase Offers Early Look at Telluride Film Fest Favorites"